We did the hard work for you and put together this P620 (UN3373) packaging kit. 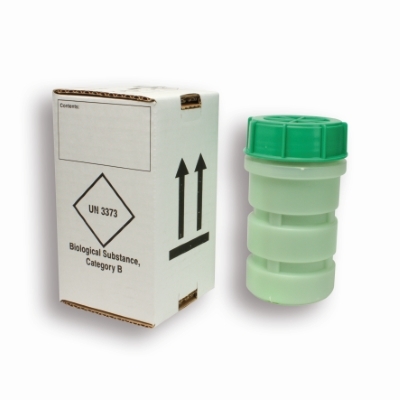 The kit containers the cardboard outer box UN3373, 500ml green leak proof container, plastic shock absorbers and absorbing tube holders. Just drop in your samples seal the lid closed and fit back into the cardboard box and send with your preferred courier.